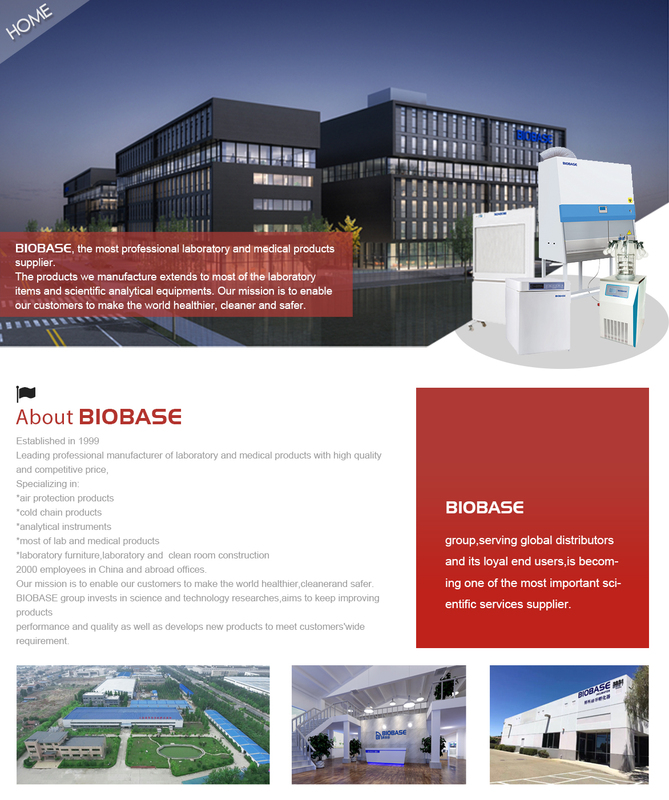 BIOBASE Series biochemistry analyzer is fully automatic,discrete,random access biochemistry analyzer.It is eupipped with:60 sample position,45/90 reagent position,and 120 reaction cuvettes.It is 150/300/400 test per hour,with both CE & FDA certified. 2.300 test per hour, 45 reagent position, 60 sample position and 120cuvettes. 3. Refrigerated reagent tray, 24 hour working. 4. Reversed optics and imported photo sensor, ensuring the precision of detection results. volume step by 0.1uL, reagent volume step by 1uL. order. 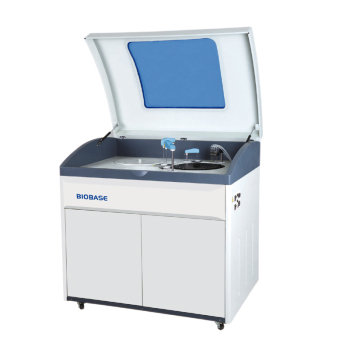 This convenient and fast system makes your test easy to operate. Calibration: one-point, two-point, multi-point. Linear Range: 0.000~2.500Abs. Quality Control: Inserting quality control at random.